We’ve seen such happen all too often—large populations devastated by natural disasters through events such as earthquakes, tsunamis, fires and extreme weather. COMSAT’s Santa Paula, California, teleport. 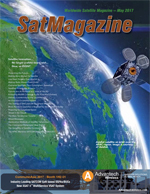 Photo is courtesy of COMSAT. As we’ve witnessed in the past, devastation isn’t limited to natural occurrences, it can also be man-made. Whatever the event may be, natural or man-made, first responders and relief teams depend on reliable communication to provide those most affected the help they need. Dependable satellite communication (SATCOM) technology is the difference between life and death, expedient care or delay. Devastation can occur in the business community, as well. For businesses and government entities that depend on the Internet of Things (IoT), as most do, organizations can face tremendous loss without a communication, or continuity, plan. How do we stay constantly connected by land, sea or air, in vulnerable situations? Today’s teleport SATCOM technology provides reliable and affordable operational resiliency that is scalable and cost effective for anyone that depends on connectivity, including IOT. Independent of the vulnerabilities of terrestrial land lines, today’s modern teleports provide a variety of voice and data options that include offsite data warehousing, Virtual Machine (M2M) access, and a secure, reliable connection to private networks and the World Wide Web. Manufacturing, energy, transportation, retail, healthcare, financial services, smart cities, government and education are all closing the digital divide and becoming more and more dependent on connectivity to conduct business. They all require disaster recovery systems and reliable communications that only satellite communications can provide when land circuits are disrupted. COMSAT, a Satcom Direct (SD) company, with the SD Data Center, has been working to provide secure, comprehensive, integrated connectivity solutions to help organizations stay connected, no matter the environment or circumstances. COMSAT’s teleports, a critical component in this process, have evolved to keep pace with changing communication needs in any situation. “In the past, customers would come to COMSAT to connect equipment at multiple locations via satellite using our teleports. Today, the teleports do so much more. They act as a network node, data center, meet-me point and customer support center. They are no longer a place where satellite engineers focus on antennas, RF, baseband and facilities. Today’s teleports are now an extension of the customer’s business ensuring they are securely connected when needed,” said Chris Faletra, director of teleport sales. COMSAT owns and operates two commercial teleport facilities in the United States. The Southbury teleport is located on the east coast, about 60 miles north of New York City. The Santa Paula teleport is located 90 miles north of Los Angeles on the west coast. Each teleport has operated continuously for more than 40 years, since 1976. The teleports were built to high standards for providing life and safety services, along with a host of satellite system platforms from metrological data gathering to advanced navigation systems. As such, they are secure facilities connected to multiple terrestrial fiber networks and act as backup for each other through both terrestrial and satellite transmission pathways. Both facilities are data centers equipped with advanced satellite antennas and equipment backed up with automated and redundant electrical power sources, redundant HVAC systems, automatic fire detection and suppression systems, security systems and 24/7/365 network operations centers. The teleports are critical links in delivering the complete connectivity chain. “Our teleport facilities allow us to deliver global satellite connectivity. 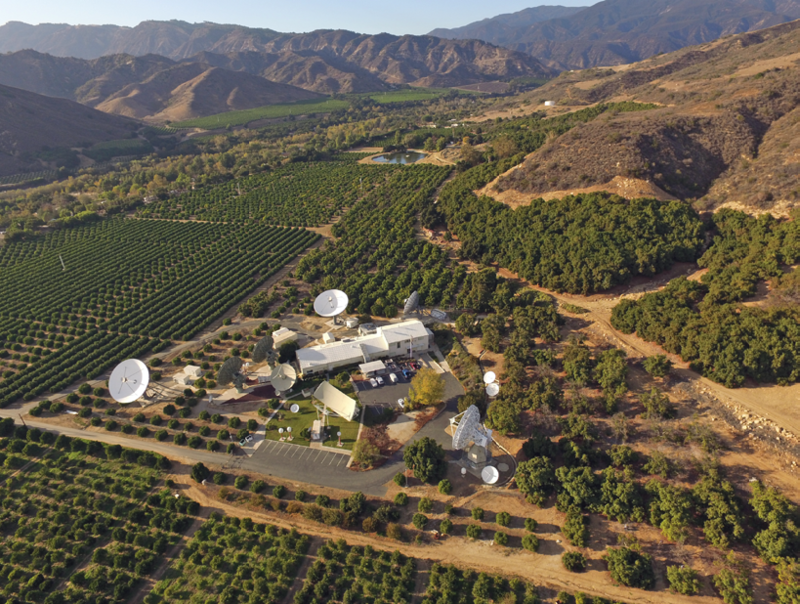 The teleports provide the link between the satellite constellation and terrestrial networks for reliable end-to-end connectivity at the highest service levels,” said Kevin West, chief commercial officer. 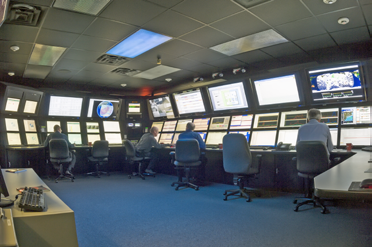 COMSAT’s NOC at the Southbury, Connecticut, teleport. Photo courtesy of COMSAT. COMSAT was originally created by the Communications Satellite Act of 1962 and incorporated as a publicly traded company in 1963 with the initial purpose to serve as a public, federally funded corporation intended to develop a commercial and international satellite communications system. For the past five decades, COMSAT has played an integral role in the growth and advancement of the industry, including being a founding member of Intelsat, operating the Marisat fleet network, and founding the initial operating system of Inmarsat from its two Earth stations. While the teleports have been in operation for more than 40 years, the technology is continuously upgraded and enhanced to proactively support communication needs. For many years, the teleports provided point-to-point connectivity for voice and low-rate data. Now data rates are being pushed to 0.5 Gbps with thousands of remotes on the network. The teleports also often serve as the Internet service provider (ISP). They have their own diverse fiber infrastructure to deliver gigabytes of connectivity versus the megabytes of connectivity that were required not so long ago. In addition to growing the teleport’s capabilities through technological advancements, COMSAT is now a part of the SD family of companies, which further expands its offerings. 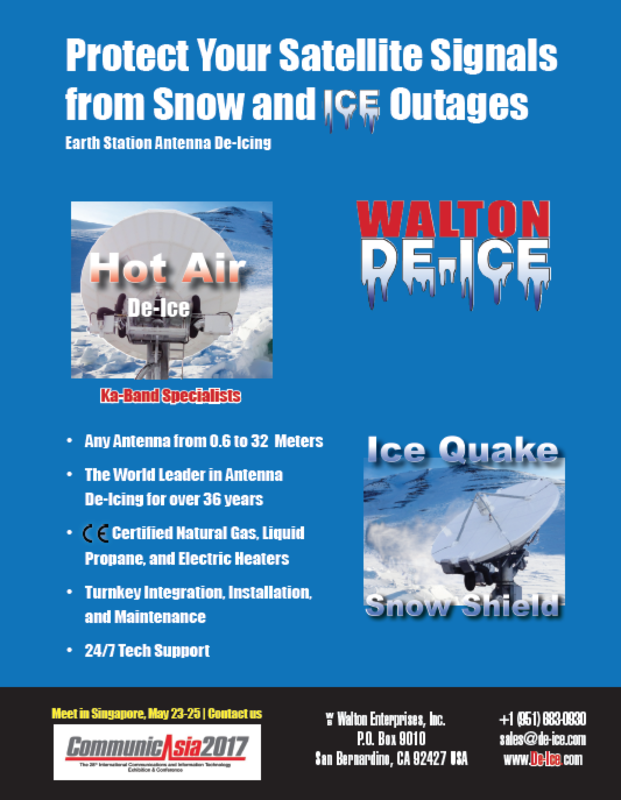 SD Land and Mobile, a division of Satcom Direct, offers a wide variety of satellite phone, mobile satellite Internet units and fixed satellite Internet units. SD Land and Mobile ensures SATCOM connectivity is available no matter how remote the location or how limited the cellular and data network coverage may be. Data security is a critically important subject today. The SD Data Center, a wholly-owned data center by Satcom Direct, brings enterprise-level security capabilities to data transmissions in the air, on the ground and over water. The SD Data Center also provides industry compliant data center solutions, and business continuity planning for numerous industries including healthcare, education, financial, military, government and technology. “Together, we deliver the infrastructure, products and data security necessary to keep you connected under any circumstance. We have a complete suite of solutions and capabilities for our clients,” said Rob Hill, business development. COMSAT’s pioneering spirit is reflected in the company’s ongoing analysis of, and adjustment to, current market needs and trends. The aero market is currently the largest growing market with new services and higher data rates being offered almost daily. 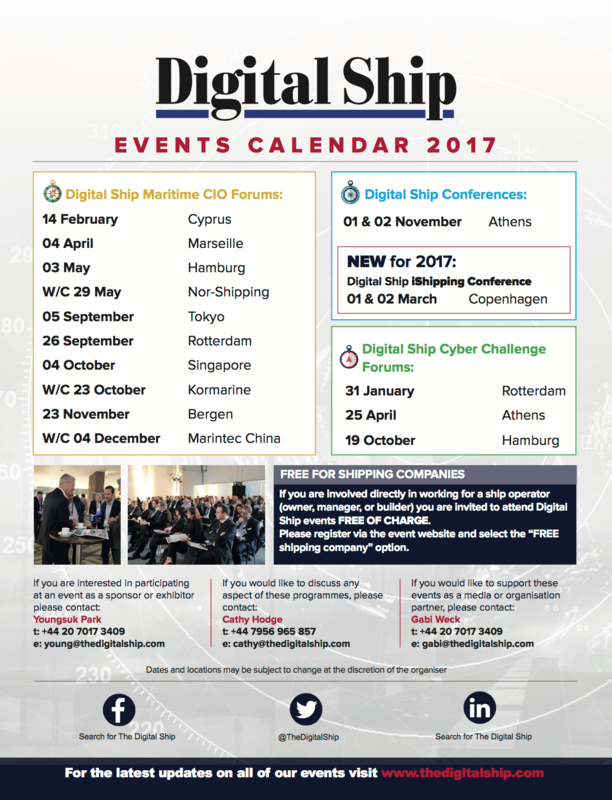 Maritime, mobility and government markets are thriving as well. No matter what direction the market is headed, COMSAT’s teleports and the SD family of companies will be ready to help clients weather the storm. COMSAT’s provision of teleport services are managed by Guy White, director of US teleports. As station director for COMSAT’s Southbury, Connecticut, and Santa Paula, California, teleports, Mr. White is responsible for the day-to-day operations and engineering of both facilities, including program planning, budget control, task scheduling, priority management, personnel matters, maintenance contract control, and other tasks related to teleport operations. Mr. White began his career in the SATCOM industry in 1980 as a technician at the Southbury facility. Since then, he successively held the positions of senior technician, lead technician, maintenance technician and customer service engineer at Southbury, until he assumed the position of operations manager in 1992 at COMSAT’s global headquarters in Washington D.C. He returned to Southbury as station engineer in 1995 and has served as station director of the Southbury teleport since May of 2000. Mr. White’s responsibilities expanded to include the Santa Paula teleport in May of 2008.